Ace Machine, Inc., established in 1983, is located on Rte. 111 in East Hampstead, New Hampshire. 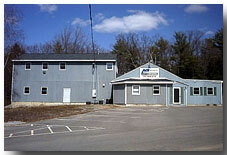 Ace Machine, Inc. employs fifteen workers, averaging eleven years of experience in the machining industry. We machine a variety of plastic and metal materials, as well as specialized materials such as MICROSIL. Copyright © 2009 Ace Machine, Inc.